Lots of Crossbills being seen at the moment so I took a lunchtime dash to Southey Wood. Didn't see any but did find at least 3 of these huge butterflies. 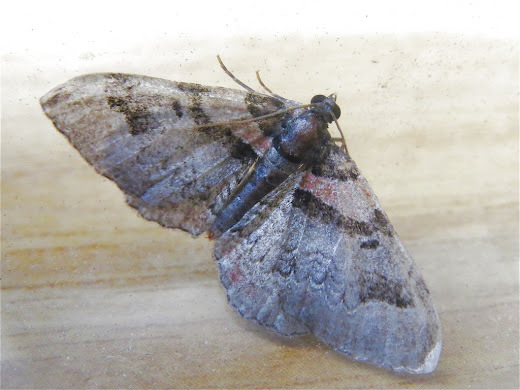 So as the mercury creeps ever upwards the numbers of moths attracted to the light trap keeps going up. Among them some worthy of note. Buff-tip is nowhere near as common as it used to be. A large moth that does a very good impersonation of a birch twig. 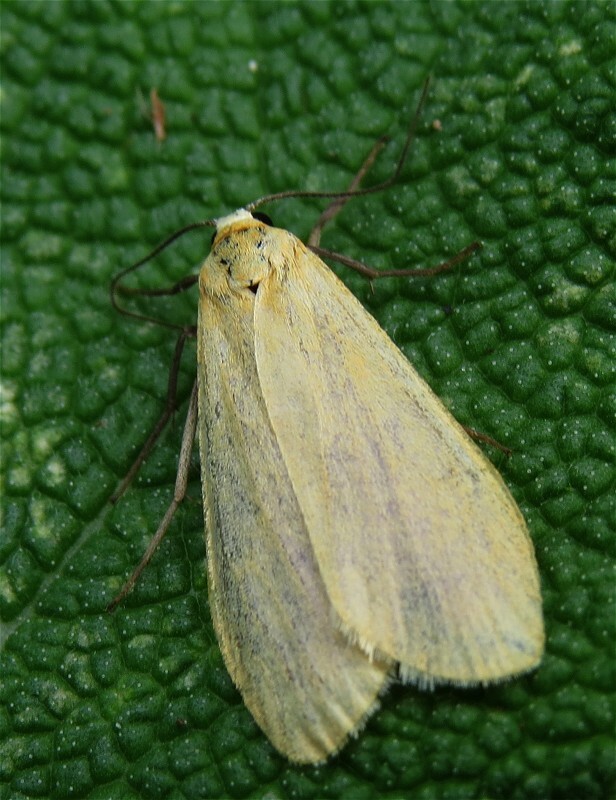 Buff Arches on the other hand has never been numerous but a few turn up every year. White Satin seems to be increasing in numbers. 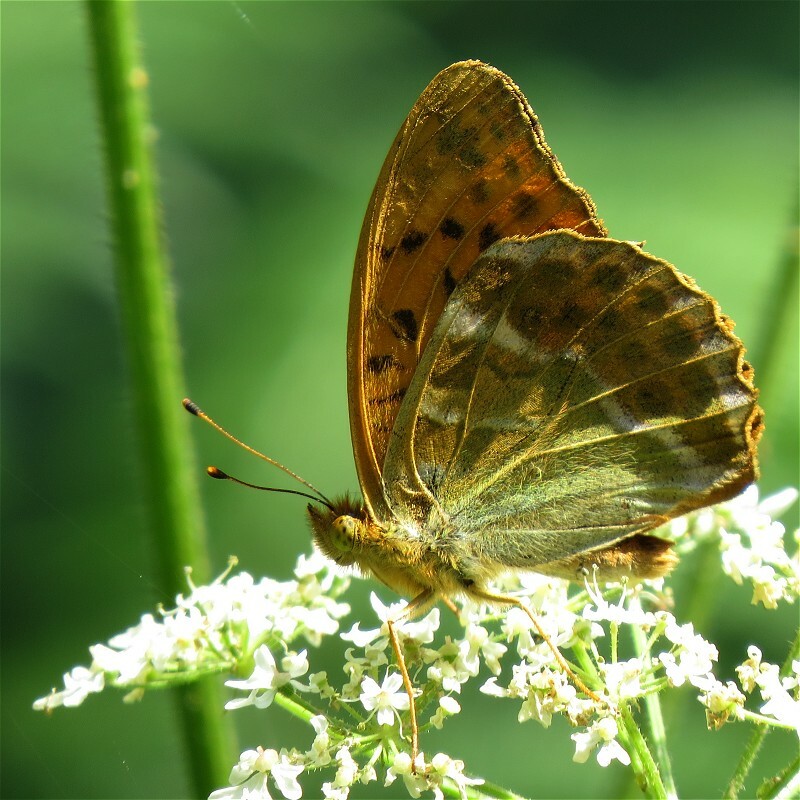 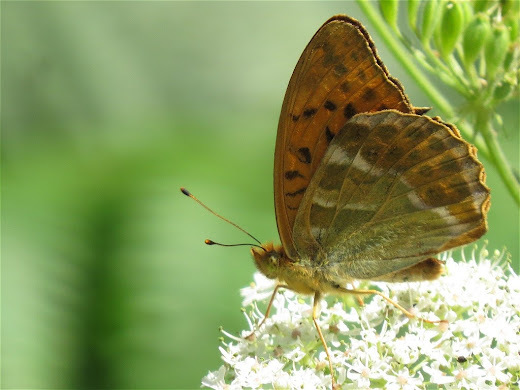 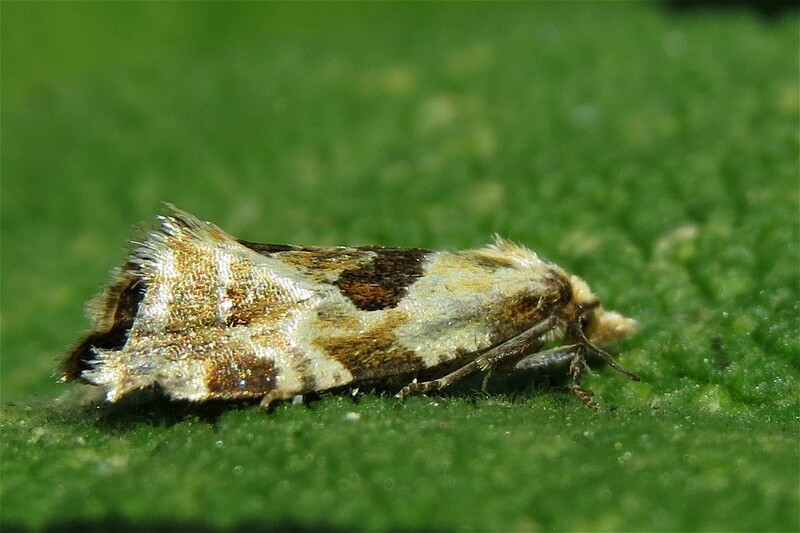 The striking micros without a common name are the 2nd or 3rd record for the garden: E. dodecea is a bit of a scarcity in Hunts with perhaps less than half a dozen records. 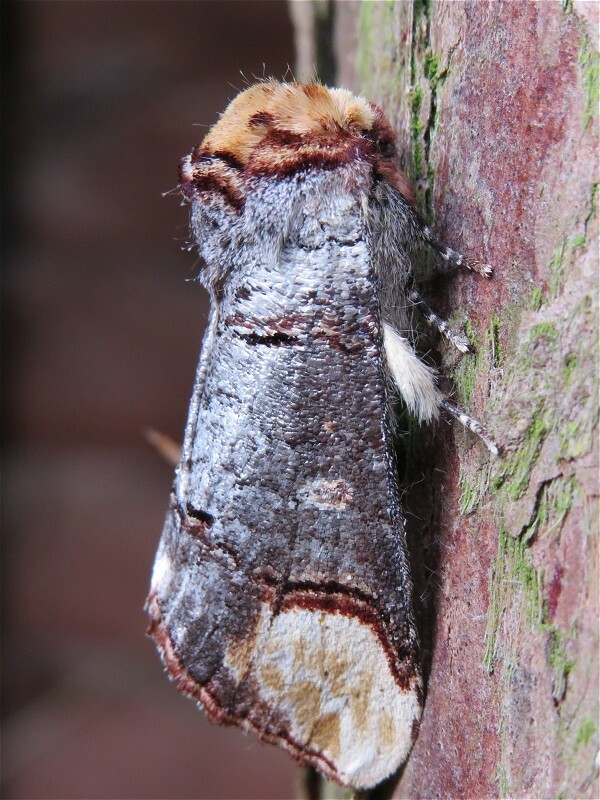 The warm weather has been bringing some top quality moths to the garden in the past week. Lilac Beauty is probably the best and only the second record here as is The Drinker. 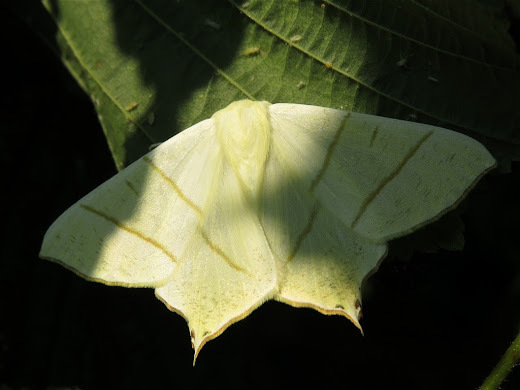 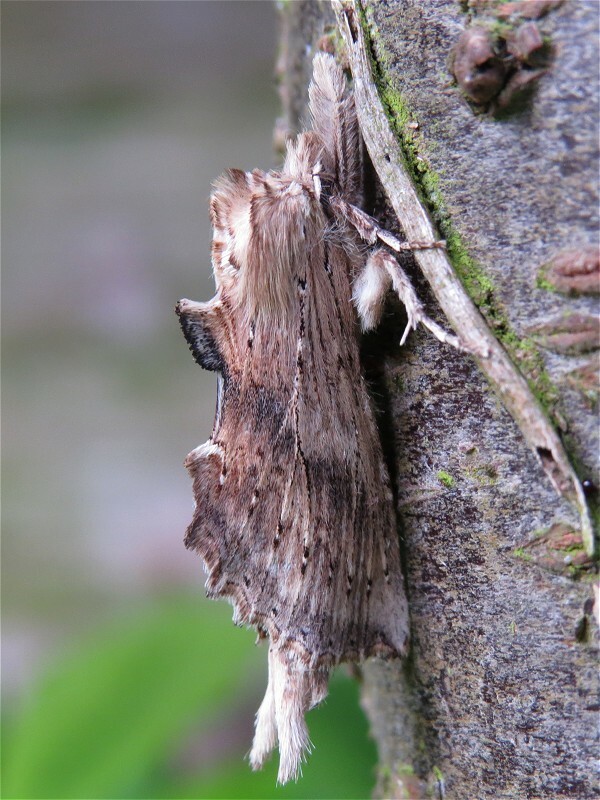 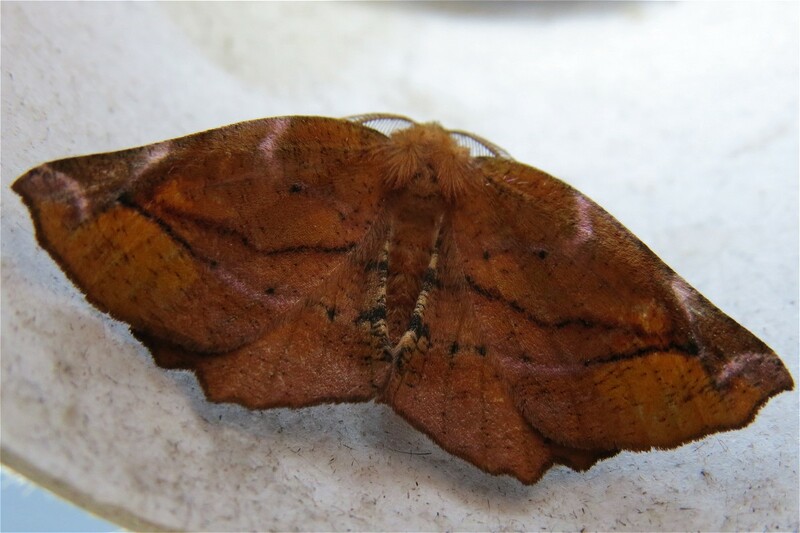 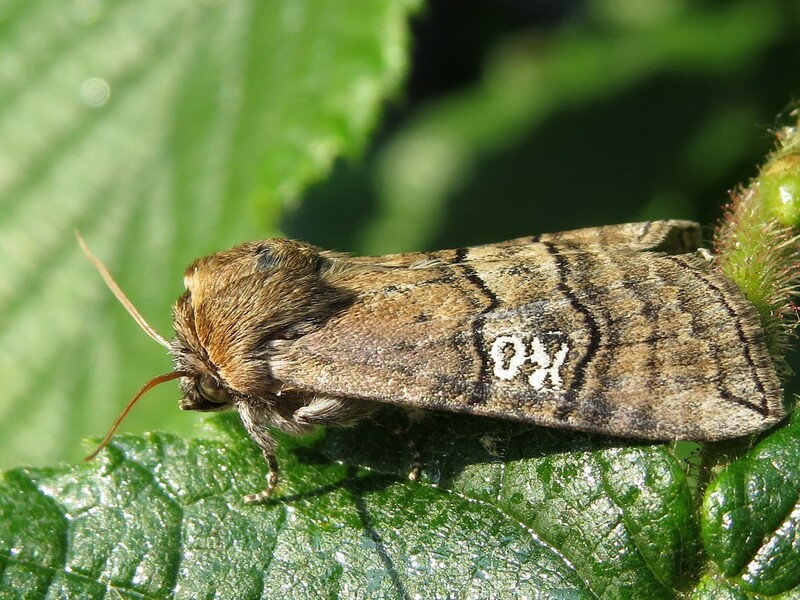 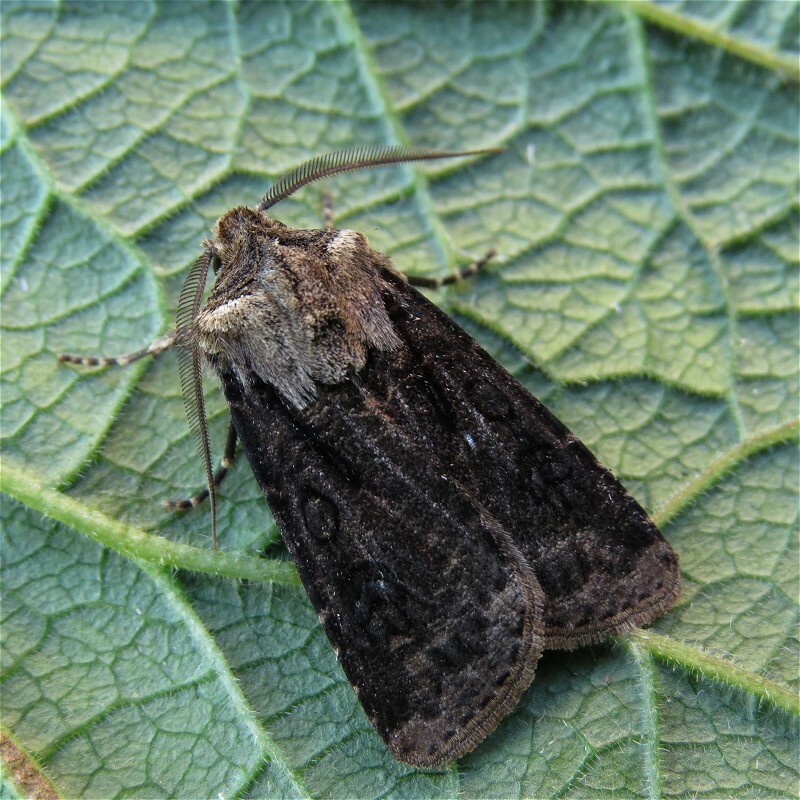 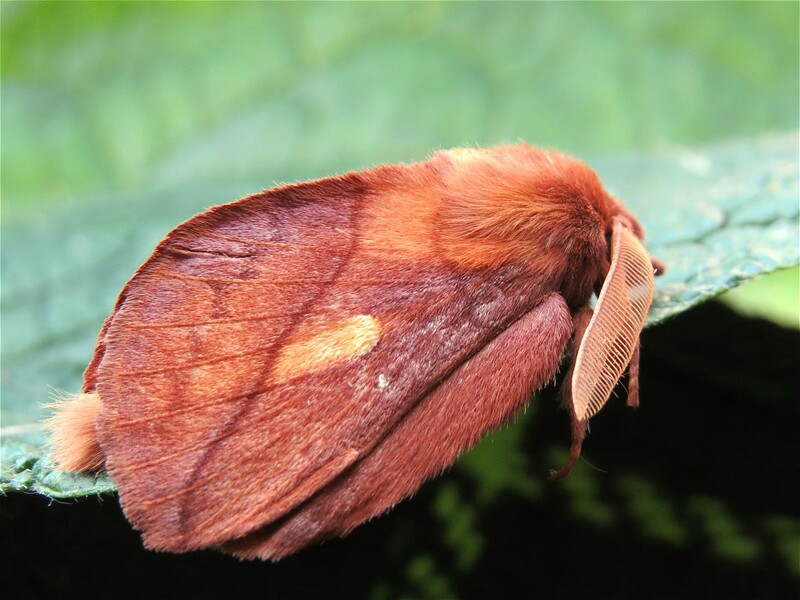 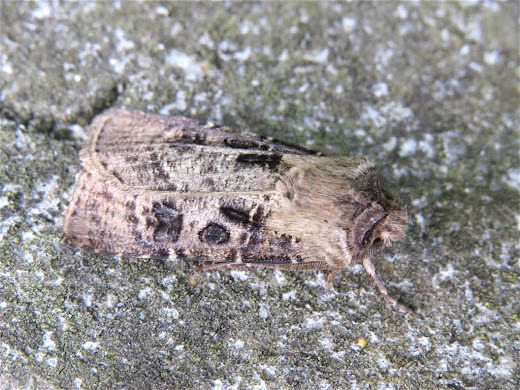 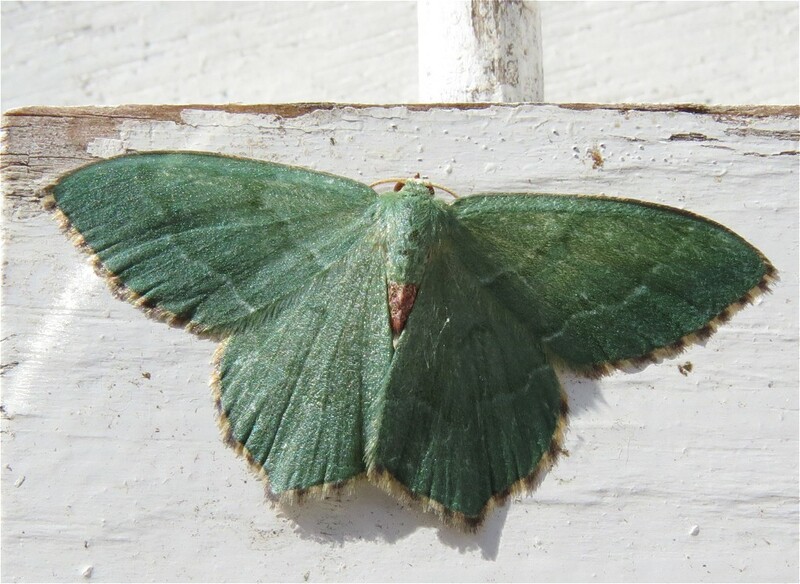 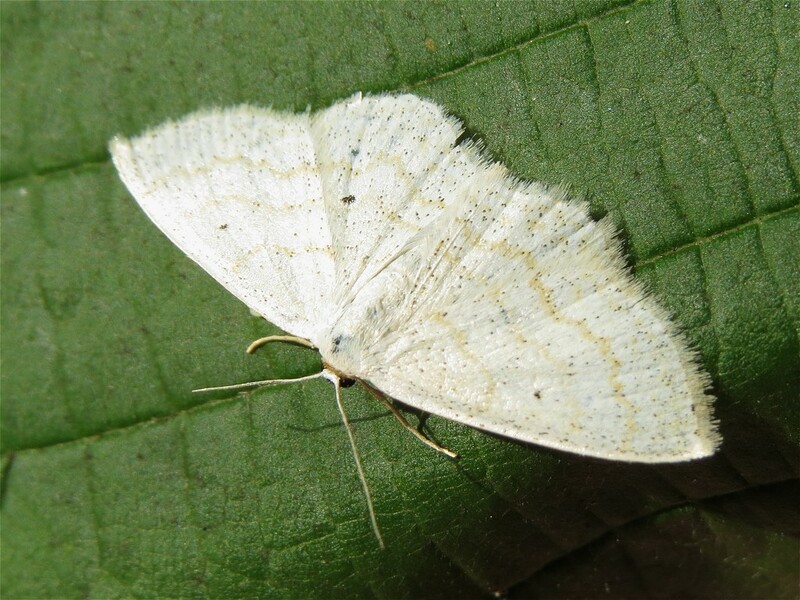 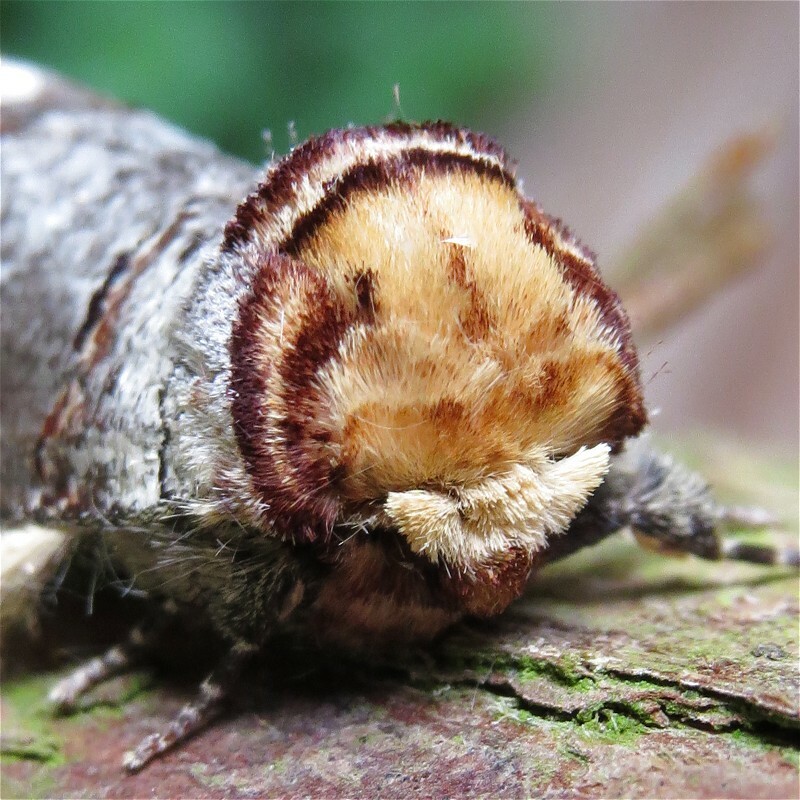 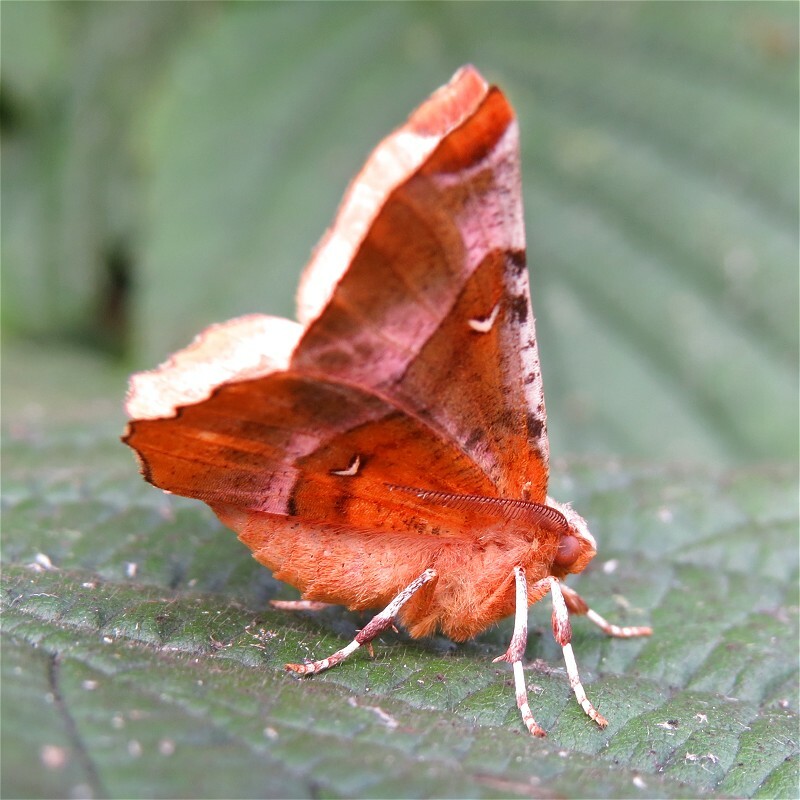 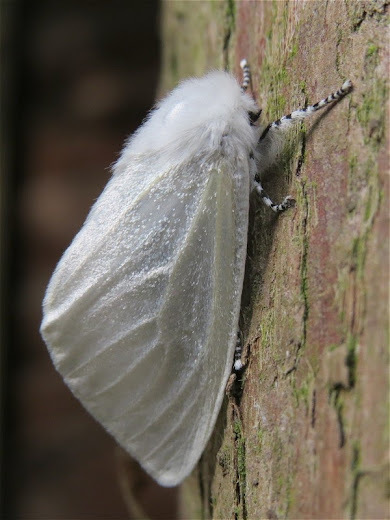 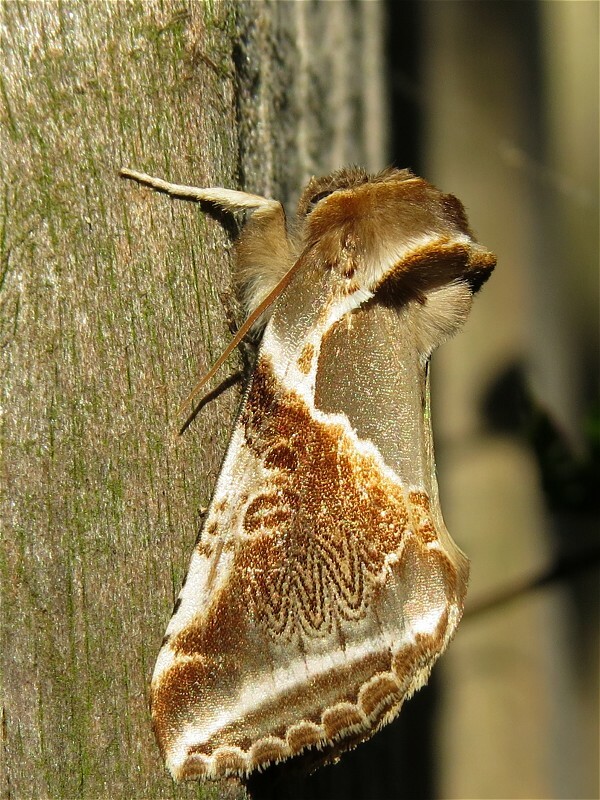 There have been a couple of Heart & Clubs, which aren't that usual either (note the feathered antennae except for about the last quarter, this and dark hindwing separate it from Heart & Dart or Turnip Moth). 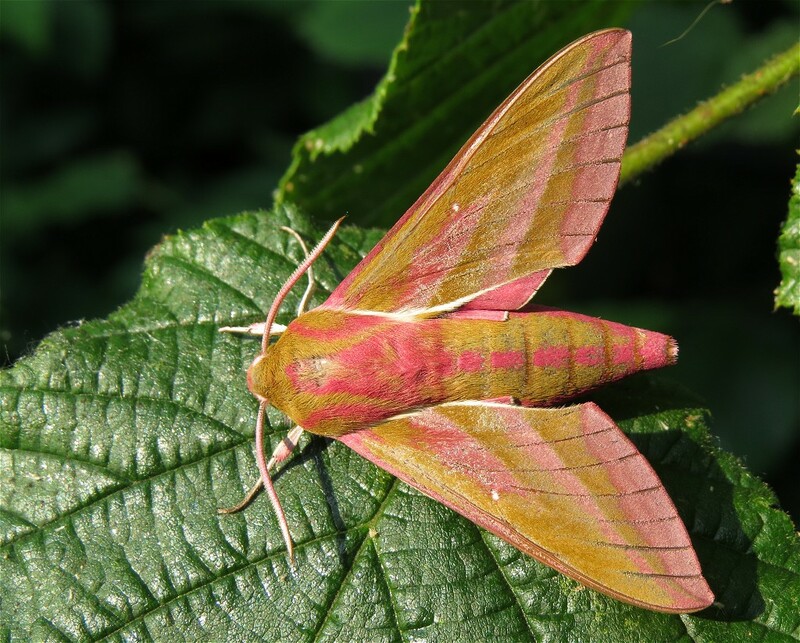 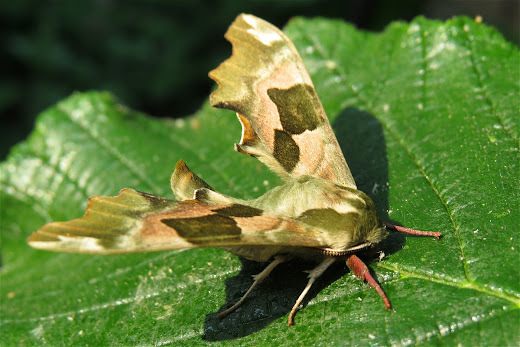 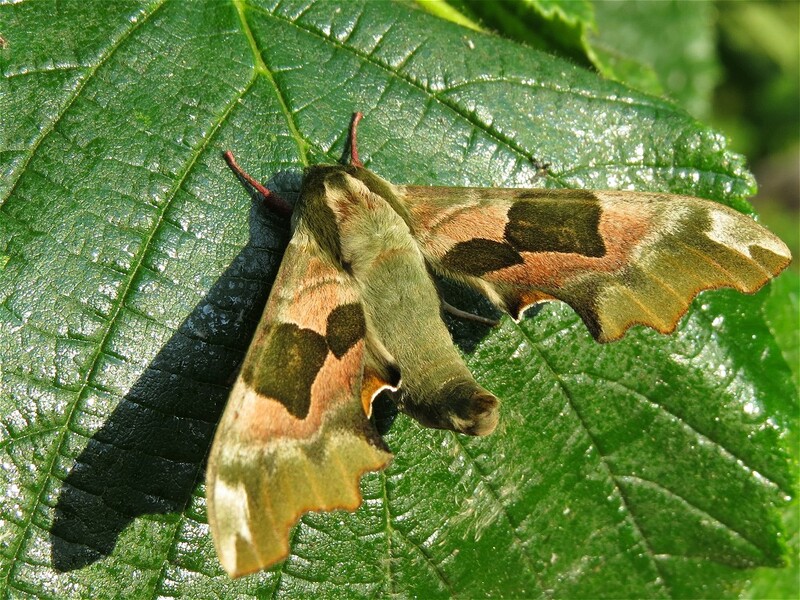 Lime Hawk-moth used to be the most frequent hawk-moth in the garden but in recent years has been absent or down to a single record so that's pretty scarce too these days. Some notable moths appearing in the garden trap in the past week or so. 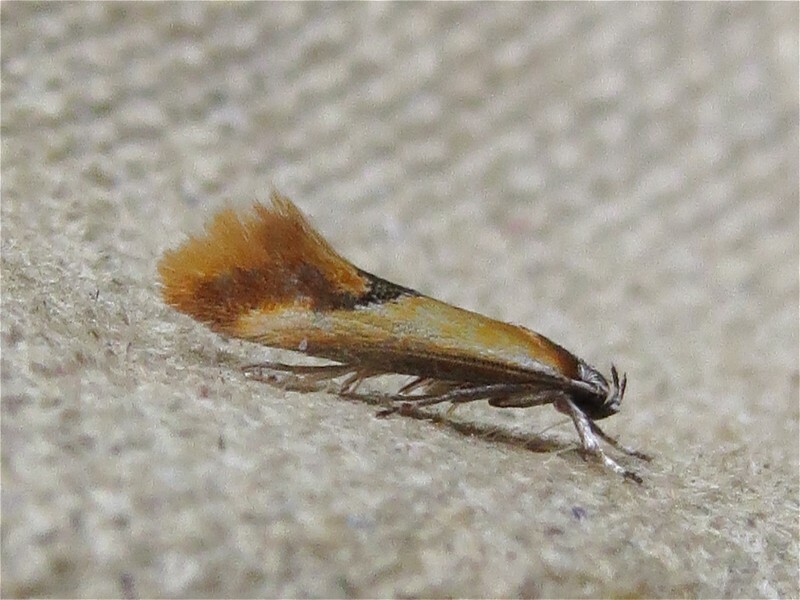 Orange Footman is only the second record and Heart & Club only the fourth but the micro is a first. 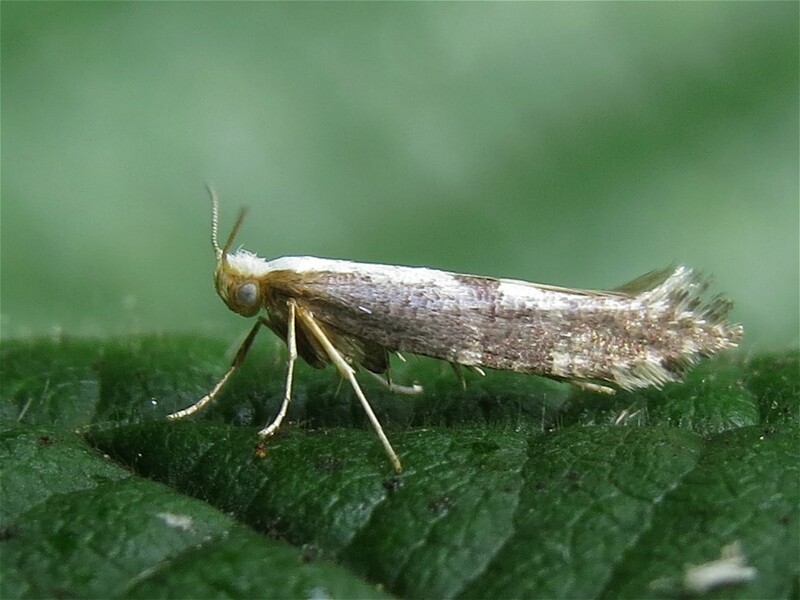 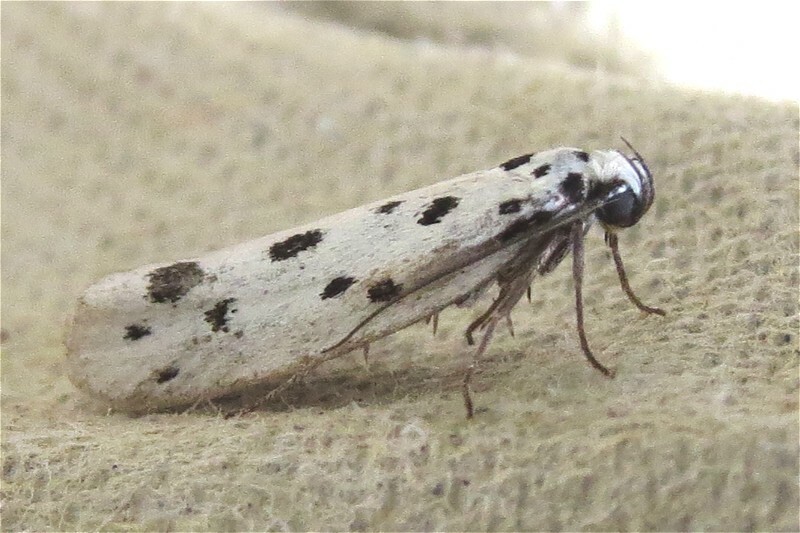 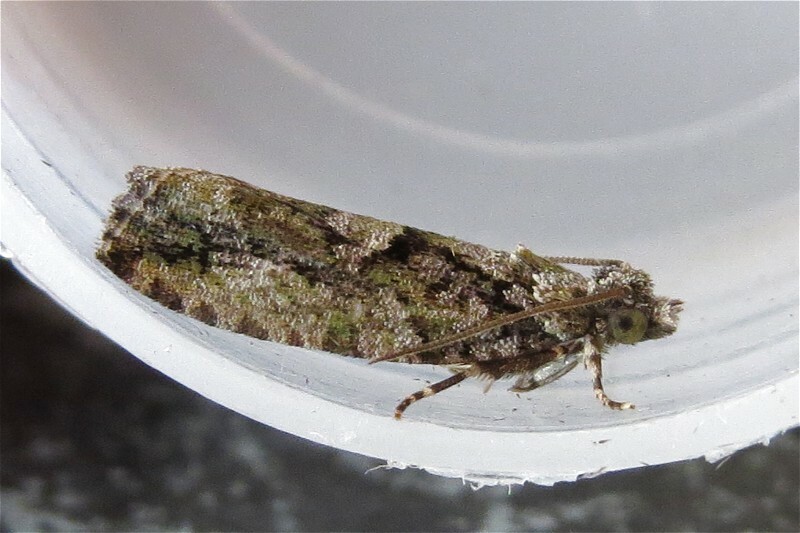 I've gone for A. spinosella rather than A. subfusca as it is a month earlier than my records of the latter and the upper wing has less contrast and more strongly defined strigulae. 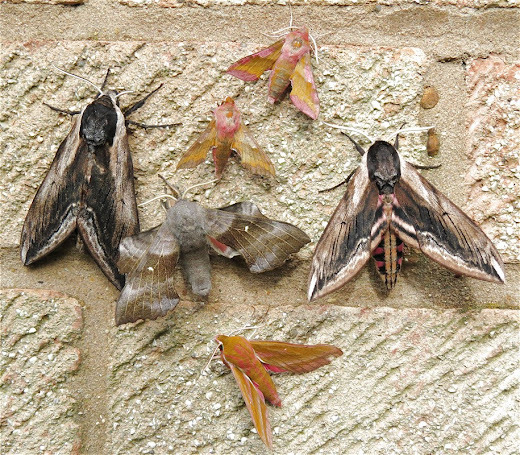 I've also included a medley of hawks and a prominent here.